If you're thinking about installing driveway gates in Sterling Heights, MI, it is best to let a professional handle the job. Professionals who specialize in this line of work will not only design and fabricate the gate, but also install and repair them in case the gates get damaged. When you deal with a professional, you not only get customized services, you also get durable products that will last for a long time to come. 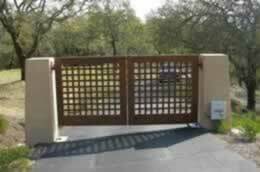 When you want to install gates on your property, it is best to work with Sterling Heights, MI driveway gates professionals. They will help you to select what to go for, from a wide range of materials and styles. The gates can come with added features, such as intercom systems that will allow you to provide access even while you are away. We will provide you with a free site evaluation and consultation, so book your appointment today. This will make it possible for us to give you relevant advice that is dependent on your situation. We are the biggest service providers in Sterling Heights, MI, whether you need residential services or commercial services. Satisfaction guaranteed - Give us a chance to serve you and you will become our next satisfied customer in Sterling Heights, MI.